My Cycling Page: Here I keep track of my cycling adventures, Century Events, my training, and Touring the Pacific Coast. 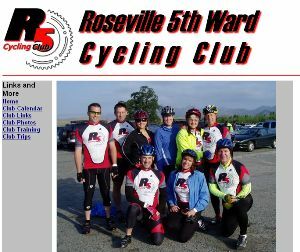 Roseville 5th Ward Cycling Club: A site I setup for the Bicycle Club I'm in with some of my friends from Church and the surrounding Roseville area. 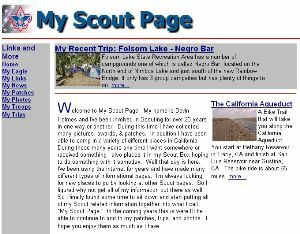 My Scout Page: Take a look at some of the places I've gone camping as a Scout and as a Scout Leader over the years.